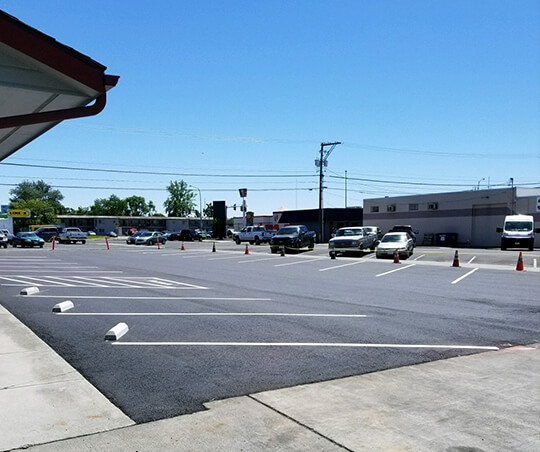 Home - Eastside Asphalt Inc.
We are your residential, commercial and industrial paving experts in the Columbia Basin, Washington area and offer a variety of paving options to make your driveway or parking lot look brand new. We have been proudly serving our customers since 1997 and continue to offer high quality service and great, low rates! Our team of paving contractors always put 100% into every job, whether it is repair work, patching or seal coating, we won’t leave the site until everything meets your expectations! If you live in the Columbia Basin, Washington area and are interested in any of our paving services we have to offer, we invite you to call us to discuss your upcoming project or to receive an estimate on the work you have planned.